(AP) This Feb. 7, 2019, file photo shows Kentucky Gov. Matt Bevin delivering the State of the Commonwealth address to a joint session of the state legislature at the state Capitol in Frankfort, Ky. The chicken pox vaccine was introduced in the U.S. in 1995. Prior to its introduction, 4 million people were infected each year, according to the Immunization Action Coalition. Only about 500,000 per year now get the disease, and hospitalizations were cut by as much as 90 percent, according to the CDC. The CDC warns against children contracting the disease intentionally, which some parents did prior to the vaccine, and advises they be vaccinated. "Chickenpox is a mild disease for many children, but not all," according to the CDC. "There’s no way to know who will have a serious case. When your child gets the chickenpox shots, he or she is getting immunity from chickenpox without the risk of serious complications of the disease." Bevin said he believes parents should be given the choice whether to vaccinate their children. "Why are we forcing kids to get it?" 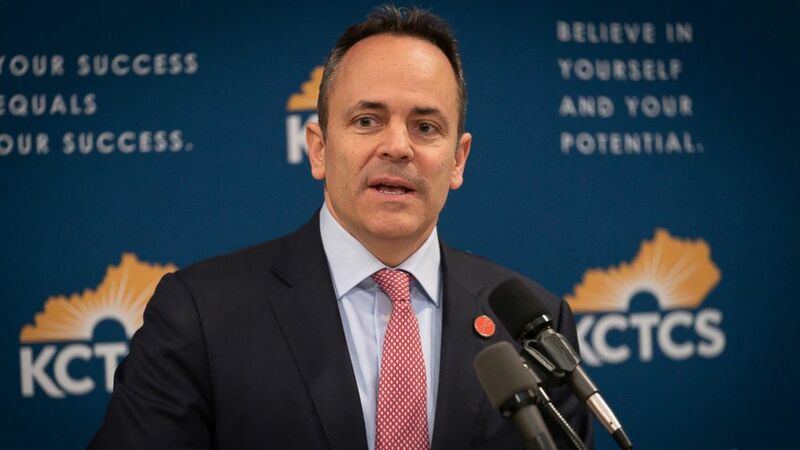 Bevin said in the interview with WKCT. "If you are worried about your child getting chickenpox or whatever else, vaccinate your child. ... And in many instances, those vaccinations make great sense. But for some people, and for some parents, for some reason they choose otherwise." (AP) In this Feb 28, 2019, file photo, Kentucky Gov. Matt Bevin speaks in the Capitol building in Frankfort, Ky.
Kentucky requires kindergartners to be vaccinated, but parents can opt out for religious reasons. The religious exemption was pushed by Bevin himself. The governor instituted an online form in June 2017 that can be downloaded, notarized and sent into the school without any health care provider involvement. Previously, a parent had to go to a doctor's office and have the form signed by a health professional, according to the Lexington Herald Leader. 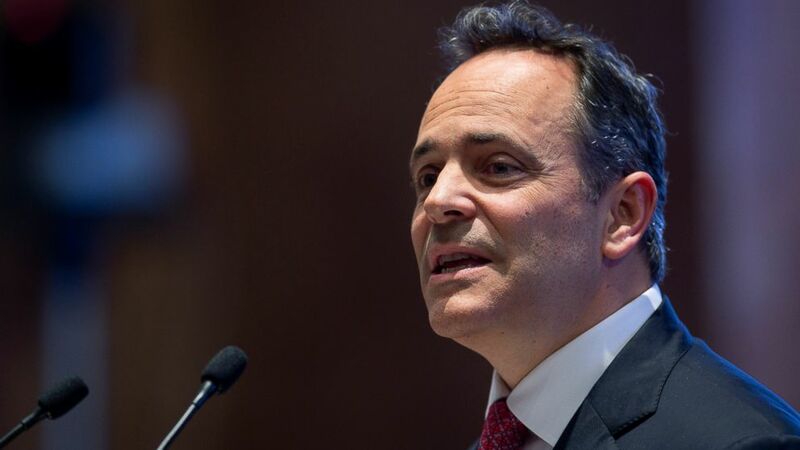 Religious exemptions were up 59 percent in the state since the new rule, Kentucky Health News reported in December 2018. Bevin was asked about the vaccine after a Kentucky high school student sued his local health department this week for not allowing him to attend school without being vaccinated. Our Lady of the Sacred Heart/Assumption Academy in Walton, Kentucky, instituted the rule after dozens of children became sick with the disease.